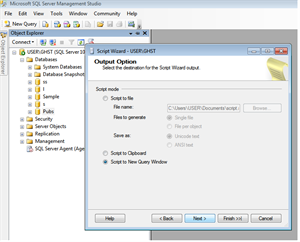 In this article, I am going to explain about How to Generate Script with data in SQL Server 2008 Database tables using Generate SQL Server Script Wizard. 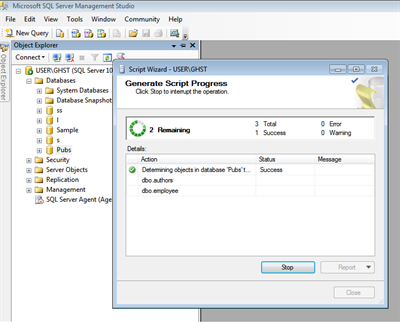 Generate Script is new concept of SQL Server 2008. 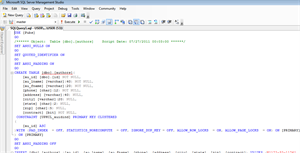 It is useful for generate script with data in database tables. 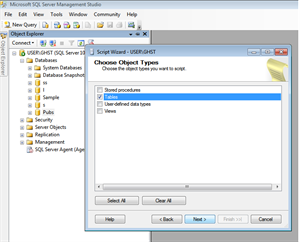 In SQL SERVER 2008, you have new Option Generate Scripts, Generate Scripts is a Powerful tool used to script data into SQL Server Database tables. We can Export and Import table data from one database to another one database using script data. 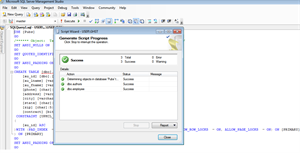 Generate Scripts is a New feature In SQL SERVER 2008. 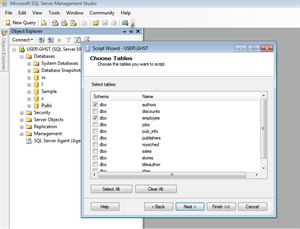 Generate Scripts is used to script data into SQL Server Database tables. We can Export and Import table data from one database to another one database using script data. 1. 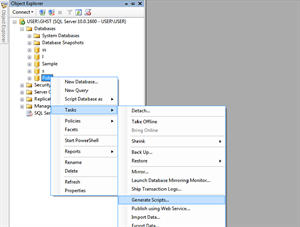 In Object Explorer, Expand your database. 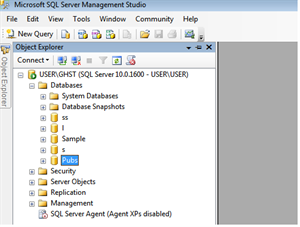 If your data base is "Pubs", Right Click the Pubs Database. 3. you can find "Tasks" Menu and and open sub menu , Now you can see Generate script in Sub Menu. 4. Click the Generate script sub menu item from the list. 5. 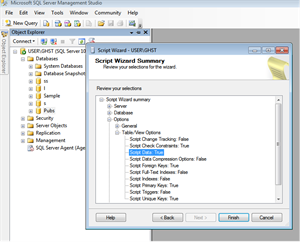 Generate SQL Server Script Wizards will open, click Next. 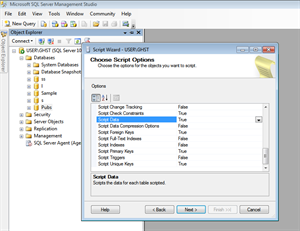 7 .In Choose Script Options, You want to Set Script Data option to True. Then Click Next. 11 Script Wizard Summary , This is Final step before proceeding to the script generation. 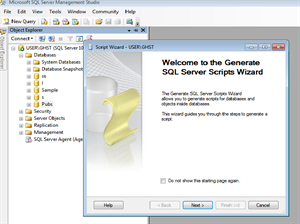 Now You can Create Script Data using Generate SQL Server Script Wizard. 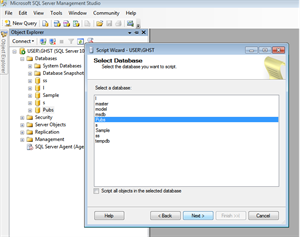 You can use this Script data any SQL Server Database and Export and Import table from one data source to another. If you find a bug and have a fix for it: please let me know and I'll be happy to update the code I am hosting here. Any suggestions will be appreciated greatly. Thanks for reading My Article.